Double Braced FrameRiveted Steel Components18 Gauge Steel FrameBlack Frame FinishNon-Marring GlidesD.. Double Braced FrameRiveted Steel Components18 Gauge Steel FrameGray Frame FinishNon-Marring GlidesDe..
800 lb. Weight CapacityLightweight DesignBlack Plastic Seat and BackContoured Back and SeatTextured ..
800 lb. 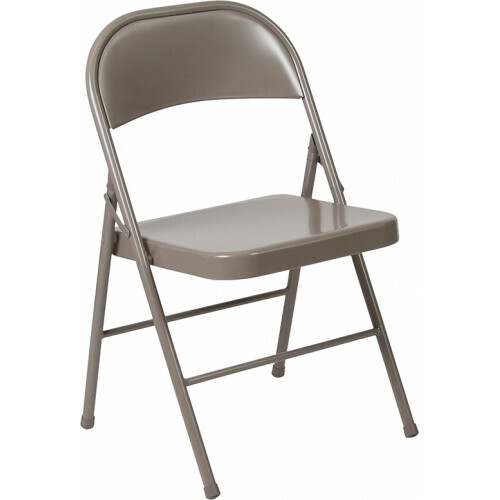 Weight CapacityLightweight DesignWhite Plastic Seat and BackContoured Back and SeatTextured ..